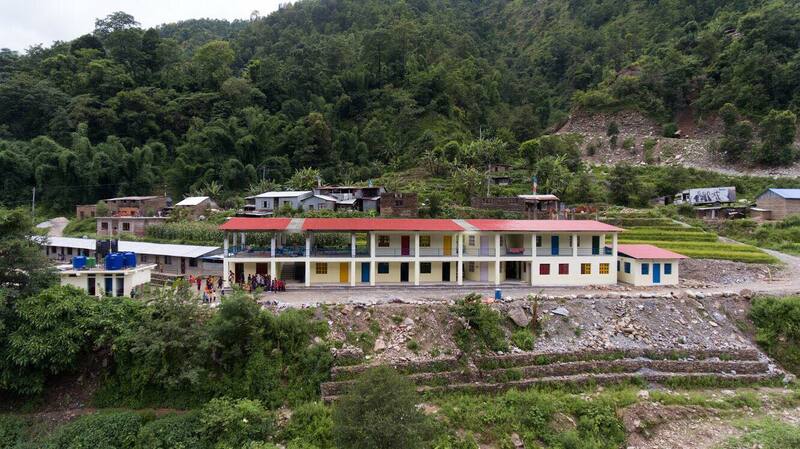 The determination to tame the gap in education system and learning environment between the schools in city and village areas has been made successful with the reconstruction of a community-based school in Melamchi. Since 2015, this is the 7th school reconstruction project completed by Kids of Kathmandu, which provides a complete modern education environment experience to both the students and the teachers while also serving the community through its publicly available services. A comprehensive and holistic approach is what we aim for. The very reflection of our belief is what guided us towards sustainable solutions to the reconstruction of our school systems with our National and International alliance whereby each system consists a surrounding network of complementary services. Our school projects are accompanied by our partners whereby we work together with those organization who excel in what they do so that we get the best of what we desire. East Point Academy, as the entity stands, facilitates its students and working-staffs with the support systems that provide clean water with further training on clean environment maintenance, computers and internet access which is further succeeded through proper training to teachers and students on how to incorporate technology in everyday lesson. Our collective experience has allowed us to rebuild those schools that had been destructed during the 2015 earthquake in the areas that suffered maximum consequences. East Point Academy is the recent one of them, a school which is engineered and designed to be safe and establish a creative learning environment while fulfilling all government criteria. Our schools has never been just a project to us. Between coordinating with the school committee and working together with the community, we develop an emotional relationship with them which further inspires us to think of better ways to improve our services. Sujita Mahat is currently working as a Project Manager with 'Kids of Kathmandu'.